Ford's Europe unit reported a $306 million pre-tax loss despite a big rise in revenue. DETROIT -- Ford Motor Co., hurt by accounting changes related to commodity prices and a wider loss in Europe, said third-quarter net profit fell slightly to $1.65 billion from $1.69 billion a year earlier. Pretax profit fell to $1.94 billion from $2.06 billion a year earlier. Europe had a pretax loss of $306 million compared with a loss of $196 million a year ago. North American pretax operating profit was essentially flat from the year-earlier period at $1.6 billion. South America also was in the black, but Ford's Asian-Pacific and African operations posted pretax losses in the quarter. Profit at Ford's financial operations fell. Revenue increased as the automaker boosted cash and further trimmed debt. "We delivered solid results for the third quarter despite an uncertain business environment," Ford CEO Alan Mulally said in a statement. The results marked Ford's ninth straight pretax quarterly profit and 10th straight net profit while continuing a recent trend of softer earnings, which Ford had predicted. The company raised its forecast for fourth-quarter production in North America to 660,000 units from 645,000 previously. The profit came on a 14 percent gain in revenue of $33.1 billion during the three months that ended Sept. 30. A year earlier, Ford posted revenue of $29 billion, excluding revenue from Volvo, which Ford sold in the third quarter of 2010. Ford's U.S. sales are up 9 percent this year through September, and the company is benefiting from higher transaction prices and lower incentives. It also gained market share in North America during the period. In North America, Ford said it benefited from a $700 million improvement in net pricing of cars and light trucks compared with the same period a year earlier. "The core of the business is very strong," Ford CFO Lewis Booth told reporters today. "North America had another great quarter." For the industry in North America, he said, "We expect to see modest growth" as part of a "slow, steady recovery." 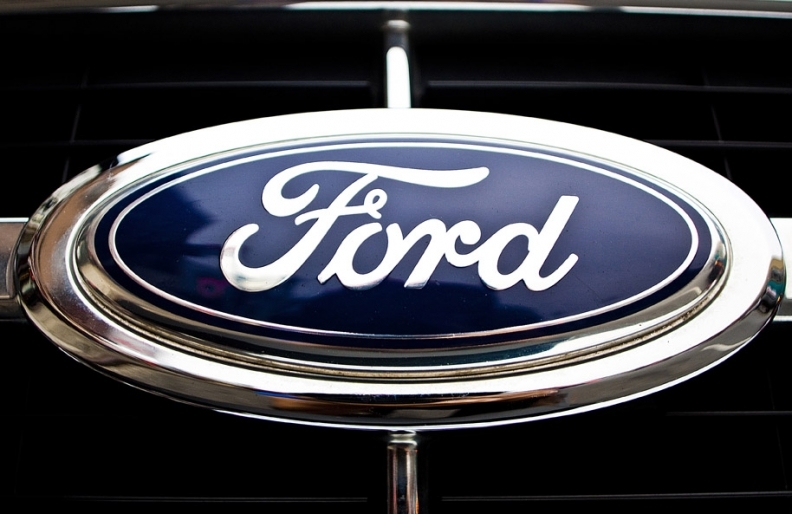 Ford never expected to see "a classic V-shaped recovery," he said. Industrywide sales "perhaps" will be "a little higher in the fourth quarter than for the year to date," he said. "We don't expect an incentive war." Ford said its pretax loss in Europe was due to higher commodity costs, including hedging adjustments, as well as unfavorable currency rates. Those were offset somewhat by improved structural costs. "Europe's challenged," Booth said, making it "more problematical to project too far ahead." He added Europe could be in for a period of "slow growth." In the third quarter, Ford of Europe's unit sales rose by 17,000 vehicles to 357,000 units while revenue was $7.8 billion, up $1.6 billion from a year ago. In Asia Pacific and Africa, Ford reported a pretax loss of $43 million, swinging from a year-earlier profit of $30 million, reflecting higher costs, in addition to unfavorable volume, mix and currency rates. Revenue, excluding sales at unconsolidated China joint ventures, rose $500 million from the year-earlier period to $2.3 billion. Ford said its automotive pretax profit was reduced by an adjustment of about $350 million for unrealized mark-to-market adjustments on commodity hedges for future period. Commodity prices fell and were marked on Ford's books at the end of the quarter. Ford said that was a non-cash charge to operating income which will either reverse, should commodity prices rise, or be offset by lower commodity costs in the future. The third quarter also saw special losses of $98 million, which included costs related to personnel reduction actions, the winding down of the Mercury brand and other dealer-related actions in North America. Ford Motor Credit's net income fell 30 percent to $350 million. Its pretax profit fell 24 percent to $581 million. The drop was due to fewer off-lease vehicles being sold at a gain, and lower credit loss reserve reductions. The improvement in Ford's automotive results were more than offset by the reductions in financial services, which Ford had predicted. Total automotive pretax profit rose to $1.34 billion from $1.25 billion a year earlier. The gain came on higher net pricing in each of Ford's automotive regions, lower net interest expense, and favorable volume and mix in North and South America. This was offset in part by higher material, warranty and freight costs. The biggest portion of the higher costs was due to commodities. "We remain well on track to deliver improved full year pretax operating profit and automotive operating-related cash flow," Booth said in a statement. "Our liquidity remains strong, and we will continue to take actions when appropriate to strengthen our balance sheet." Ford has now earned $6.6 billion in net income on revenue of $101.7 billion through the first nine months of 2011. Ford's gross cash total fell $1.2 billion from March 31 to $20.8 billion. Its debt fell $1.3 billion to $12.7 billion, leaving it with net cash of $8.1 billion, up from $8 billion at the end of the previous quarter. After the ratification of its new four-year labor contract with the UAW last week, Ford inched closer to an investment-grade rating on its debt. Ford's U.S. hourly workers voted 63 percent in favor of a new contract with the UAW. Increased labor costs under the deal, which doesn't give raises to senior workers and promises 12,000 new jobs by 2015, will eventually be offset by greater manufacturing efficiencies, Mark Fields, Ford's president of the Americas, told analysts on Oct. 20. Fields said the new contract would raise Ford's labor costs less than 1 percent annually. Ford said today that $280 million in upfront costs related to the new UAW contract will be booked in the fourth quarter. On Friday, Standard & Poor's raised the corporate credit rating on Ford and Ford Motor Credit Co. to BB+ from BB-. That's still junk-rated, but it's the highest level of speculative grade. The lowest level of investment grade is one notch above BB+ at BBB-. One question facing Ford is whether to reinstate its dividend, but Booth said, "We won't be giving any news on the dividend today." He said that improving Ford's balance sheet is a higher priority than restoring the dividend. "Getting the contract behind them opens the door to restoring the dividend and returning to investment grade," wrote Brian Johnson, a Chicago analyst at Barclay's Capital. He rates Ford "overweight." "That is putting Ford back on the radar screen of portfolio managers who had pushed it aside when it lost its momentum after last year's fourth quarter" earnings miss, he said. A dividend would be Ford's first since September 2006, the month that Mulally joined the automaker as its CEO, coming from Boeing Co.